On this episode of Dugout Blues, before Jared and I recap the last two series of the first half for your first-place Los Angeles Dodgers (I’m never going to live it down). Ross Stripling got a late nod to the NL All-Star team. The most frequent guest on the show is an All-Star. That’s awesome. He joins Matt Kemp and Kenley Jansen. 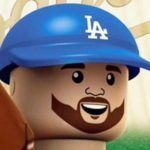 Max Muncy participated in the Home Run Derby. You already know what happened, but we don’t because we recorded this early on Monday. Justin Turner is banged up and would have probably gone on the disabled list if not for the All-Star break. Yasiel Puig hurt his oblique and did go on the DL, All-Star break notwithstanding. Perhaps those injuries help explain the Dodgers’ continuing interest in Manny Machado. Jared gives max proposal, and it isn’t dissimilar to mine. And as of Tuesday morning, the Dodgers are “in the lead” for Machado, who could be traded as early as tomorrow morning. Chase Utley held a press conference — something he never does — to announce his retirement at the end of the season. He’s a Hall of Famer for us and his impact on the Dodgers goes well beyond what he has done on the field. On the farm, we talk about my midseason Top 30 prospects update, which published here yesterday. Have a look and a listen. After that, I had to take off, so Jared finished the minor-league recap on his own and took your questions, which I assume were good.